I have bored everyone for quite a while with the devastion caused by the death of my best friend, but, as I mentioned in my previous post, a few good things came out of it too, not least the kindness of others. Many of my friends came through with all kinds of offers of help and support and it amazed me how thoughtful and understanding everyone was when I needed them most. Although, it shouldn't have done, because friends are amazing. One particular act of kindness made me smile so much, though, I've decided to give it a post of its own. 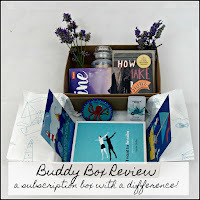 Introducing the Buddy Box, from the mental health charity The Blurt Foundation. It's a hug in a box! 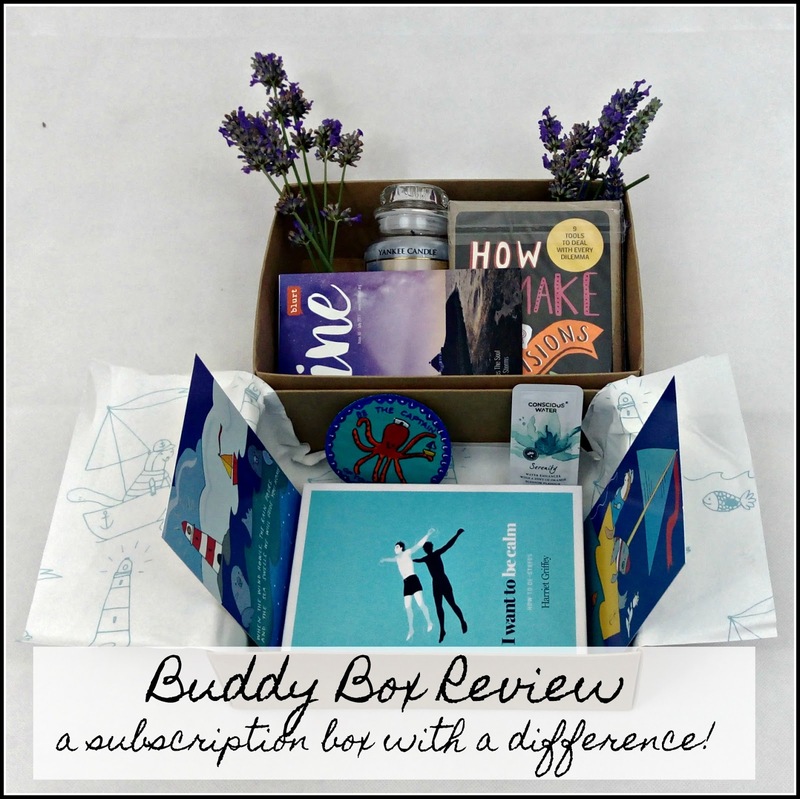 The Buddy Box is a subscription box, with a very important difference. 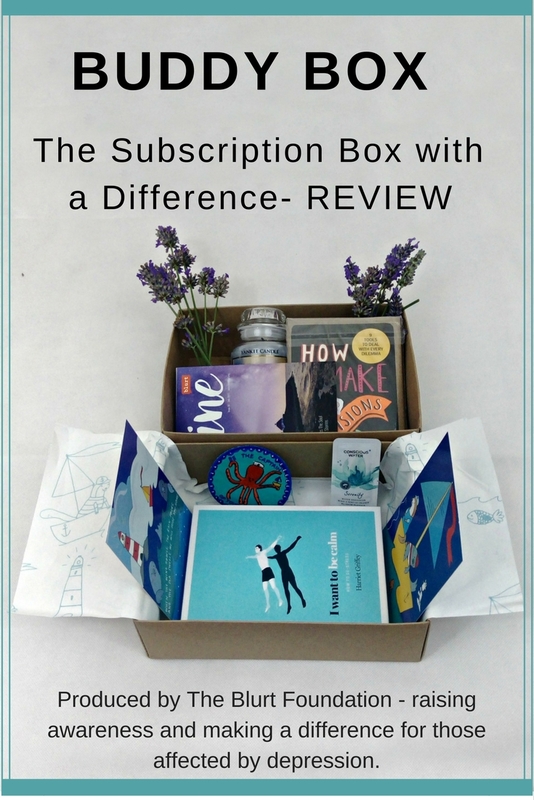 You don't have to sign up to a subscription, you can just buy a one off, as a gift. And that's what my daughter did for me, she ordered one to be delivered, in order to cheer me up when we got home from the funeral. It was such a lovely surprise, totally unexpected, but also full of some really thoughtful and considered items. Somebody had clearly spent a long time putting this box together and it was a far cry from some of the samples-and-sweets efforts I've seen before. 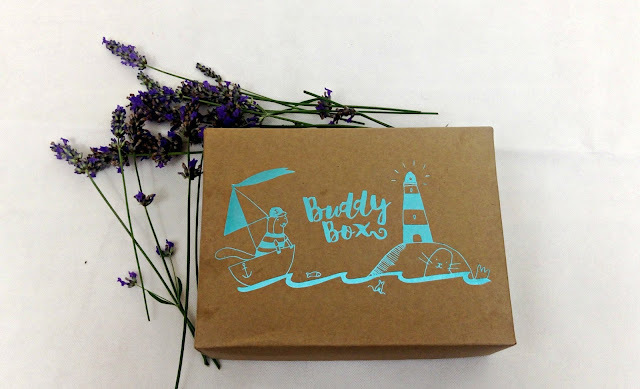 The other very important difference with the Buddy Box is that it is produced by The Blurt Foundation, who are charity dedicated to helping those affected by depression. They have an amazing website, with lots of resources for those affected, presented in a beautiful, friendly, supportive way. It's everything you could want from a website to support your mental heath. You can support their amazing work through this donation link. 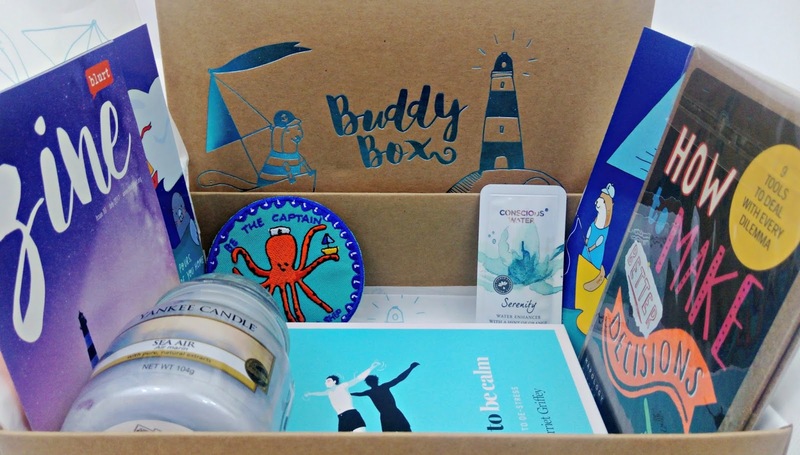 As well as their great website, they also put together this fabulous gift box, which is designed to provide comfort and a smile to those who may need it, perhaps because they are struggling with ongoing depression, or perhaps, because they are just having a hard time right now. This really is a lovely little box of happiness, that makes a perfect gift. If someone in your life needs a little lift, this would be an excellent choice and I am confident they would be thrilled. Or, as the items in each box are a surprise, you could even order one for yourself! 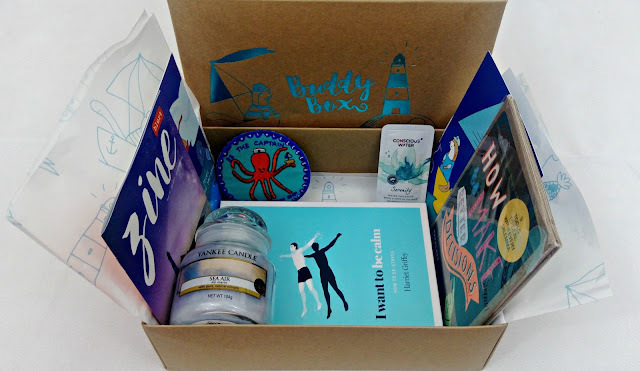 Oh what a beautifully designed box! What a gorgeous box. I really love the idea behind it and how carefully and thoughtfully chosen the items inside are. Genius idea! This concept is really moving. Such a thoughtful gift from your daughter. Very sorry to hear about your best friend. This is such a lovely box, a great idea behind it, and looks gorgeous! I love the look of this box. Great for a present.